Video: Watch Nasugbu, Batangas plane crash - Balita Boss! This video shows the moment an aerobatic trainer plane crashed off the shore in Barangay Bucana, Nasugbu, Batangas, on January 31, 2015. The footage filmed by netizen Brayl Maranan, shows a trainer aircraft (SF-260FH with body number 1034) of Philippine Air Force (PAF) practicing in an exhibition flight for the celebration of Nasugbu's 70th Liberation Day. 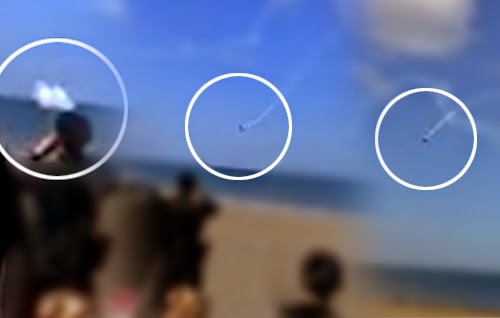 Maranan was watching from a nearby shore when he caught the footage. According to Inquirer.net report, the two-seater high-speed and aerobatic trainer plane crashed at around 9:40 a.m. about 300 meters off the shore in Barangay Bucana, PAF spokesperson Lt. Col. Enrico Canaya said. The pilots controlling the plane died in the crash. Canaya identified the victims as Capt. John Bayao, an instructor pilot, and Lt. Al-Nazer Jana, a student pilot.